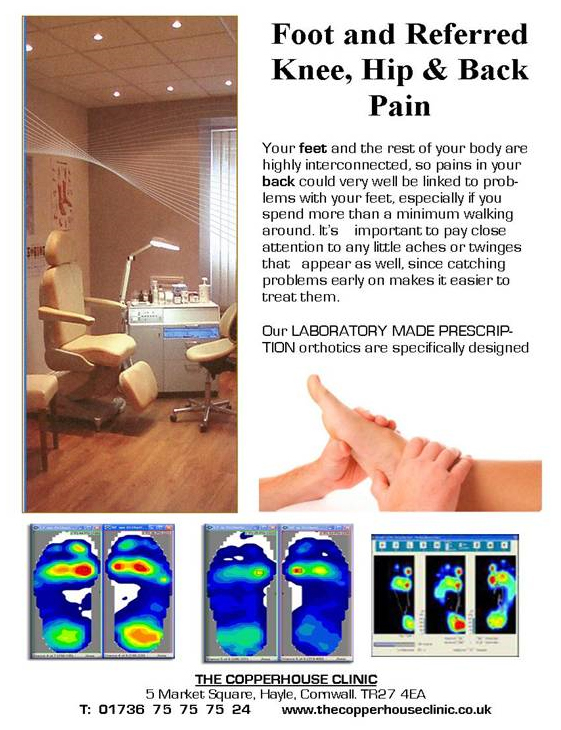 Chiropody, Podiatry, Chiropractic and Sports Massage in Cornwall. Whether you are learning to walk again, have joint pain, bone inflammation, tired and aching muscles, stiff joints do you understand why it is happening? What pain is referred pain, systemic pain, ageing musculoskeletal pain, growing pains? The kinetic chain of movement in our bodies changes throughout our lives but function, range of movement and pain management often needs to be a combined approach or care plan - even if only a short burst of another professional input is needed. I learned this first hand when I had to learn to walk again years ago. I found stretch work i.e. pilates, yoga and specific exercise prescription was only one of the avenues I needed to truly progress. I was lucky enough to witness first hand when working for the trail blazing charity Scope that core stability was crucial for pelvic stabilisation that helped people walk and move better again. This inspired me to train further as a podiatrist and further explore the impact of intrinsic muscles in the feet and hands and how this affected the body's ability to move well. It educated me to understand the importance of a cross boundary approach, i.e. when and how did full gait assessment, chiropractic, physiotherapy, deep tissue massage and orthopaedic surgery combine best, and in what sequence for a patient to maintain their musculoskeletal fitness from children to adults. It is hugely rewarding to see every day of your working life patients improve from when they started and feel they can get back some control over their mechanical problems. There is also the service of routine podiatry for all the troublesome problems of thickened and fungal nails, corns, verruca and hard skin at the clinic. Whatever your concern, whether you are an individual, business or fellow health professional, please feel at ease to contact us for further information. Or you can book a Triage or Initial Appointment if you prefer with myself or one of the health professionals to clinically assess you as appropriate. I hope you will find that our team are professionals that not just have the skill set but care very much as well. That is the ethos and foundation of our clinic and has been of my family for generations whom are very determined. We have worked in various clinical arenas between us, built a large hospital or worked within the NHS but always with a view to provide care with the dignity and kindness that makes you feel better and always respected. Sophie Combarel HEAD OF PRACTICE / HCPC REGISTERED CHIROPODIST AND PODIATRIST. Q1. Are you a tip toe walker ? Q2. Are you a heel walker ? Q3. Do you have knock knees ? Q4. Do your shoes wear on one side ? Q5. Does one or both feet stick out when you walk ? Q6. Do your feet role or flatten when you stand up ? Q7. Do you walk like your Mum or Dad ? Q8. Are you 7 years old or over ? Q9. Have you had any foot, knee, hip, or lower back surgery ? Q10. Do you visit your chiropractor with Sacro-illiac pain? Sophie is a Health Professions Council Registered Chiropodist and Podiatrist offering a wide range of treatment options for problems and disorders of the upper and lower limbs. Using modern equipment and facilities, Sophie can treat everything from athletes foot to plantar fasciitis to verrucae and warts. A Sports Therapist specialises in the assessment, treatment and rehabilitation of musculoskeletal injuries, restoring clients to their optimum level of fitness, regardless of age or physical ability. I treat clients with musculoskeletal conditions. 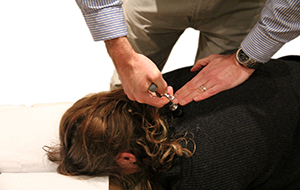 If you are looking for a Chiropractor in Cornwall then Jannie Louw, is one of Cornwall's leading Chiropractors. 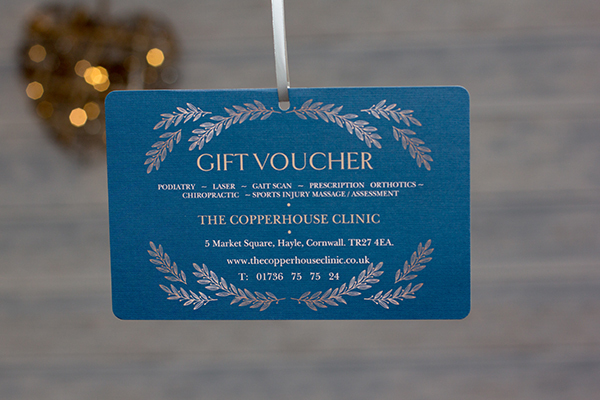 Located in Hayle, Cornwall, Jannie Louw offers a full range of Chiropractic treatments in the comfortable surroundings of the Copperhouse Clinic in Hayle. Contact us today to book an appointment. M Tech Chiro (DIT) Chiropractor. GCC registered and BCA member.